Carpal tunnel syndrome may heal on its own but with the right self-care, recovery can be accelerated. 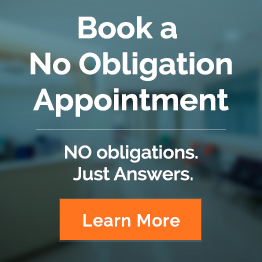 The good news is that home care for CTS is very straightforward. Although the pain you’re feeling is actually not an inflammatory process, anti-inflammatory drugs such as ibuprofen can provide some relief although cure is unlikely. However, the root cause of your carpal tunnel syndrome must be properly addressed to complete treat the condition. Today we get into some ways you can manage your CTS on your own. Your wrist works as the primary hinge for your hand and arm; so, its consistent mobility is very important. Yet, our wrists are also the common sites of debilitating pain like carpal tunnel syndrome. 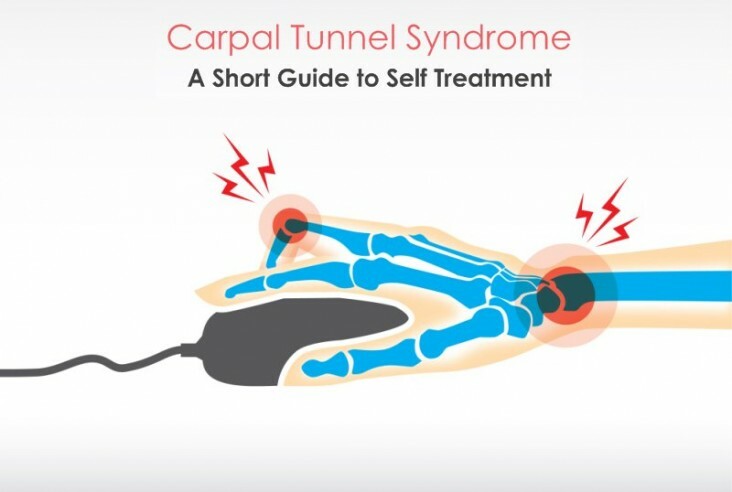 Carpal tunnel syndrome (CTS) is characterized by a numb, tingling feeling and at times, painful fingers and hands. The symptoms develop gradually and worsen during nighttime. CTS could also include thumb weakness and parasethesia or the pricking feeling on specific areas. 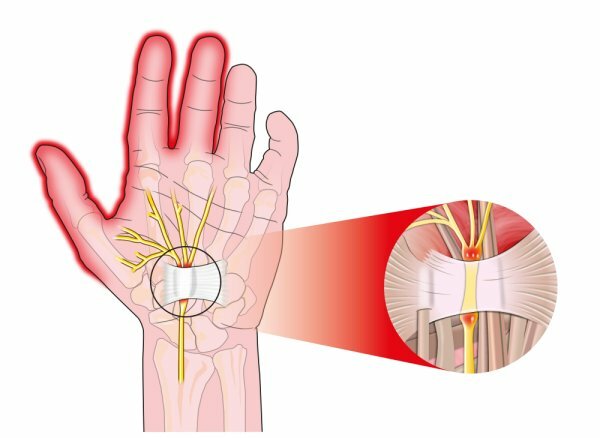 Carpal tunnel syndrome is commonly caused by strenuous hand activity, wrist injury and health conditions like rheumatoid arthritis or diabetes. It could also be a genetic disorder. Unfortunately, 50% of pregnant women are likely to develop CTS. A wrist splint help stabilizes the wrist, minimizing the pressure on the median nerve; thus, giving the wrist the relative rest that it needs. 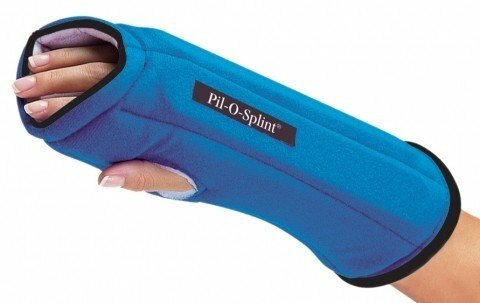 A wrist splint is essentially worn during night time to reduce pain and pressure although it is not advisable to use it when working because it strains the hand’s tendons. When this happens, chances are, the injured area becomes worse. A wrist splint should only be a short-term treatment for CTS. It must not be worn long term for it cna weaken the hand’s muscles. Stop activities that caused your CTS. When the symptoms improve, resume to activity gradually. Take quick breaks from strenuous activities where you use your hands the most. Alternate activities to minimize the stress put in your wrists and hands. 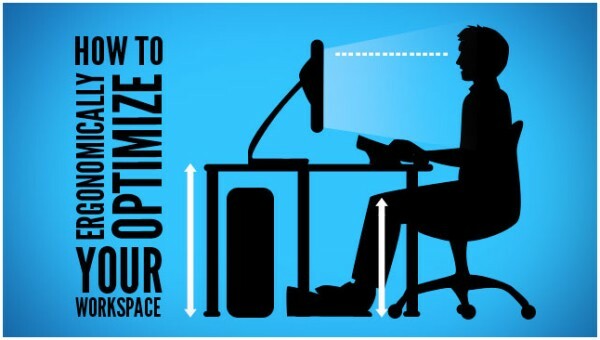 Avoid holding an object in the same position for far too long. Choosing the right foods can significantly help for faster recovery. Anti-oxidant-rich foods like red bell peppers, carrots and leafy greens have the essential nutrients needs to alleviate CTS pain. Spinach is also rich in vitamin B6 which functions as an effective analgesic to relieve pain. Salmon, walnuts, pineapple and turmeric are also suitable for CTS patients. The right exercises are useful compliments to another CTS treatment. Exercises along with the right treatment, proper activity modification and wrist splinting can hasten the recovery process. Here is a generic exercise that you can do anytime, anywhere. This exercise is developed by Dr. Housang Seradge at the University of Oklahoma Orthopaedic & Reconstructive Research Foundation. Extend and stretch both wrists and fingers acutely as if they are in a hand-stand position. Hold for a count of 5. Straighten both wrists and relax fingers. Make a tight fist with both hands. Then bend both wrists down while keeping the fist. Hold for a count of 5. Straighten both wrists and relax fingers, for a count of 5. Here’s another set of exercises from University of Maryland Medical Center for carpal tunnel syndrome. These exercises work to strengthen the wrist, hands, arms and shoulders to help cure and avoid carpal tunnel syndrome. Make a loose right fist, palm up, and use your left hand to press gently down against the clenched hand. Resist the force with the closed right hand for 5 seconds. Be sure to keep your wrist straight. Turn your right fist palm down, and press the knuckles against the left open palm for 5 seconds. Finally, turn your right palm so the thumb-side of the fist is up, and press down again for 5 seconds. Repeat with your left hand. With the other hand, bend the hand you are exercising backward with the fingers still held together and hold for 5 seconds. Spread your fingers and thumb open while your hand is still bent back and hold for 5 seconds. Repeat five times with each hand. Hold your second and third fingers up, and close the others. Draw five clockwise circles in the air with the two fingertips. Draw five more counterclockwise circles. Repeat with your other hand. Clench the fingers of one hand into a tight fist. Release, fanning out your fingers. Do this five times. Repeat with the other hand. To exercise your thumb, bend it against the palm beneath the little finger, and hold for 5 seconds. Spread the fingers apart, palm up, and hold for 5 seconds. Repeat five to 10 times with each hand. Gently pull your thumb out and back and hold for 5 seconds. Repeat five to 10 times with each hand. Place your hands together in front of your chest, fingers pointed upward in a prayer-like position. Keeping your palms flat together, raise your elbows to stretch your forearm muscles. Gently shake your hands limp for a few seconds to loosen them. Repeat frequently when your hands or arms tire from activity. Sit upright and place your right hand on top of your left shoulder. Hold that shoulder down, and slowly tip your head down toward the right. Keep your face pointed forward, or even turned slightly toward the right. Hold this stretch gently for 5 seconds. Repeat on the other side. Stand in a relaxed position with your arms at your sides. Shrug your shoulders up, then squeeze your shoulders back, then stretch your shoulders down, and then press them forward. The entire exercise should take about 7 seconds. While self-care is proven to work for carpal tunnel cases, a physiotherapist can actively help your condition and accelerate your recovery. You will be diagnosed thoroughly according to your symptoms and various tests will be executed to see the roots of the problem. A qualified physiotherapist will also educate you about the do’s and don’ts when you have CTS.